by Anne Treimanis (Eason), Esq. and Kathleen Whitbread, Ph.D. 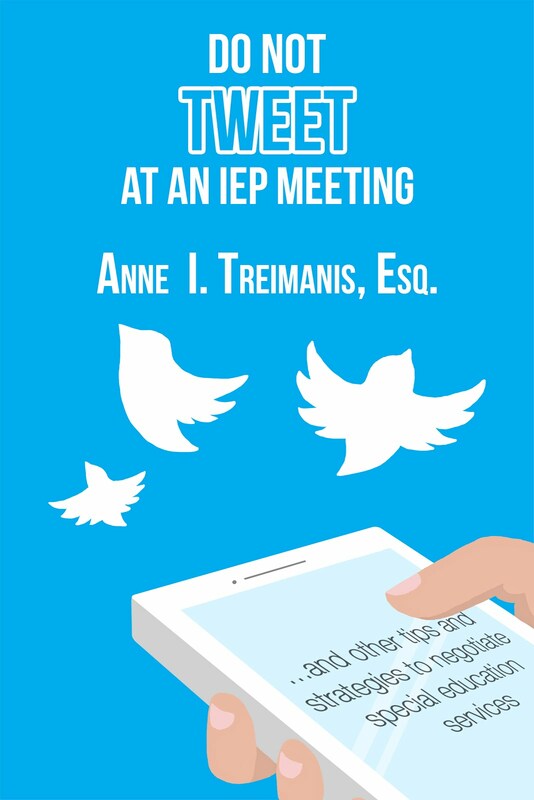 Note: These tips are from Chapter 2, “Tips for What to do During the IEP Meeting,” from the book IEP and Inclusion Tips for Parents and Teachers by special education attorney Anne Treimanis (Eason) and Dr. Kathy Whitbread. Published by the Attainment Company. http://www.attainmentcompany.com/. Having friends and being a friend are important for your child's development. These tips are also designed to insure that your child is successfully included in the neighborhood school and enjoys after-school community activities. Label your agenda as “Parent Concerns and Proposed Solutions.” Bring extra copies of your "Agenda" to the meeting and politely invite each team member to take a copy. Bring food, or at least bottled water to the meeting. Note: This excellent advice originates from the good people at wrightslaw.com. Download the chapter about SMART IEPs from Wrightslaw: From Emotions to Advocacy, 2nd Edition (revised to include IDEA 2004). Consider inviting other students to the IEP meeting. Kids often have great ideas on how to support other students. Of course, your child needs to be okay with this. Don’t go to an IEP meeting alone. The person you bring does not have to be a trained advocate. The person can be someone who cares about your child and family. If you think this is necessary, ask them not to speak. Just having someone there, taking notes, will let the district know that you take your rights seriously. When you choose an advocate, make sure that he or she is prepared. Make sure the person presents him or herself in a professional manner. Make sure that the advocate shares your views on your child’s education. Some advocates bring their personal anger to the table. Choose an advocate who is strong but diplomatic. Do not forego preparation for the IEP meeting because you “trust” your advocate to do this. Prepare for the meeting WITH your advocate. The advocate must represent your point of view but their job is not to take over. This is YOUR child and YOUR meeting. When preparing with your advocate, identify what is not negotiable, and what you are willing to compromise on. Prioritize your issues. Make sure your advocate has a copy of and has read all of your child’s records. Do not hire an advocate one day before the meeting. This will not give the advocate enough time to read the records and prepare properly with you. If your district allows it, record your IEP meetings. When you tape a meeting, you have a completely accurate record of the meeting and you will be free to listen and participate in the meeting rather than writing notes. If you encounter resistance from the team, note that the district cannot refuse to allow you to tape if this is an accommodation for the parent (for example, if the parent is hearing impaired or has an auditory processing problem). Read IEP Tips: Taping Meetings by Anne Treimanis (Eason) and Kathy Whitbread at http://www.wrightslaw.com/info/iep.tips.taping.eason.htm. Debrief with your advocate, spouse, and any other person who accompanied you immediately after the meeting. Write down what you remember, and then add your own impressions and opinions. Write a thank you note to the IEP Team for the time people spent meeting with you about your child. Use the thank you note to document key decisions made and to review issues that are still unresolved. Remember - Students with the best educational programs (and outcomes) are usually those with the most empowered parents. Read this book to empower yourself with the information you need to advocate for your child. For more tips, check out the book IEP and Inclusion Tips by special education attorney Anne Treimanis (Eason) and Kathy Whitbread, Ph.D., now available in the Wrightslaw store - http://www.wrightslaw.com/store/iep.eason.html.